Dorestad was a medieval Frisian city built on a split in a branch of the Rhine (Rijn) in what is now the Netherlands, the great northern-European delta. Dorestad is obliterated now, through the vagaries of geology and history; but in its day it was the pre-eminent regional city. Dorestad lay on the bank of the Kromme Rijn, an important commercial waterway. While quite inland, Dorestad was a major trading port. Indeed, Dorestad was economically the most important city in the entire area known these days as the Low Countries. Dorestad was wealthy. Its position assured that goods inward and outward to and from all Rhine-accessible markets were likely to be traded in the city. Built on the site of a Roman fort, The medieval Dorestad of archaeology shows occupation from about 675. The Roman-built settlement (now under water, thus unconducive to digging,) was probably not inhabited continuously. The existing physical evidence is of settlement in the late 600's. The first great misfortune to befall the city was a Viking plunder in 834. An unwalled city, open to commerce, it was open to plunder as well. The Vikings, great traders themselves, were also amenable to killing, destruction, and robbery when economically suitable. Their principal trade was the available wealth along navigable water. The Vikings raided Dorestad frequently after 834  annually, for a while. The second great misfortune of Dorestad was that the course of its river changed. Indeed, rivers' courses can change because they're over-controlled  which might be part of what happened at Dorestad. Water-management by landholders on the near-upstream properties may have induced rapid alteration of the river's course. 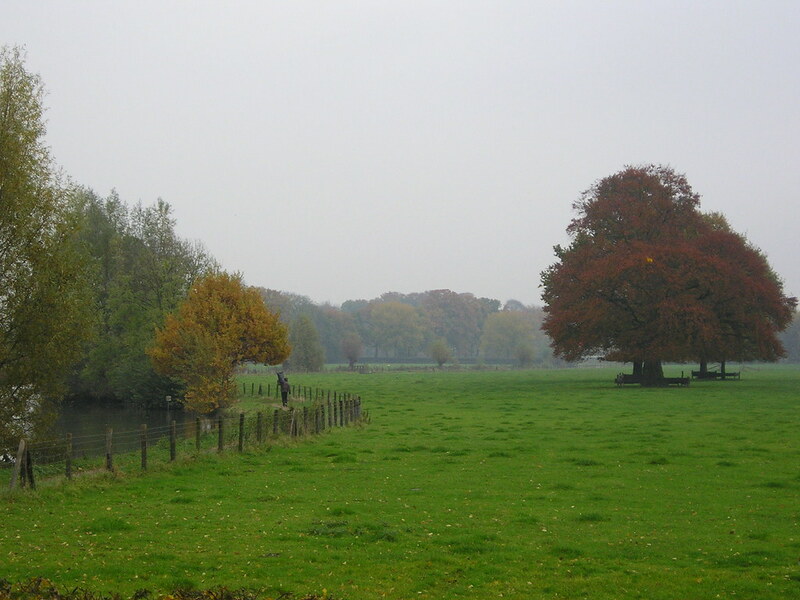 The Kromme Rijn began to deposit silt in a different way. Another distributary began to carry more water. The tendency continued and increased. The course of the Kromme Rijn, also, began to shift  its volume decimated. Dorestad was left stranded. Its river, the source of wealth, was gone. The Vikings raided again in 863, but that was their last visit. The city had apparently declined enough that even murderous rapacious pillage was no longer attractive.